A disconcerting email landed in the inboxes of University of Hawaii students and staff on Monday, Oct. 9. “In the event of a nuclear attack,” the subject line read, Hawaii News Now reported. “In light of concerns about North Korea missile tests, state and federal agencies are providing information about nuclear threats and what to do in the unlikely event of a nuclear attack and radiation emergency,” the email said. Talks of preparing for the eventuality of a nuclear attack have cropped up in Hawaii in reaction to North Korea’s increasingly threatening actions and rhetoric. Hawaii officials were discussing how to brace residents for a possible atomic attack, The Washington Post reported. But as word got out of the reportedly “secret meeting” on Sept. 19, members of the meeting started informing the public. North Korea’s foreign minister said on Sept. 21 that there may be a hydrogen bomb test in the Pacific Ocean, Yonhap news agency reported, after dictator Kim Jong Un vowed to take the “highest-level” action against the United States. 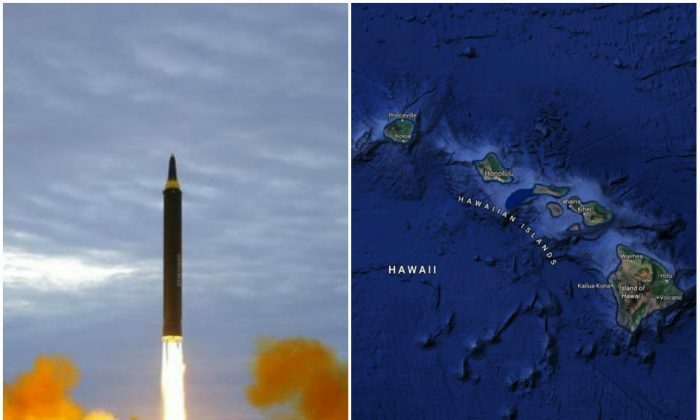 Experts consider North Korea’s ballistic missiles capable of reaching Hawaii. If North Korea were to attack Hawaii, it’s likely target would be Honolulu. But impact on a neighboring island also could not be ruled out, according to Vern Miyagi, administrator of the Hawaii Emergency Management Agency. Officials believe there would be up to 15,000 casualties. Once a missile is launched from North Korea, there will be less than 20 minutes warning, Miyagi said. President Donald Trump has escalated pressure on North Korea to abandon its missile and nuclear programs. New U.N. sanctions were passed on Sept. 11 in response to a sixth underground nuclear test by North Korea. The sanctions ban all natural gas sales to the North, limit the amount of oil that can be sold to the country, and ban its exports of textile products. NTD.tv contributed to this report.